After letting their shots fly on our backyard basketball court — time and time again — they kept going. Shot after shot, never stopping after their first one. Practice turned to passion, which is how our family started in the game. Unplug your kids and get them out on the court! We make it easy to get a quality basketball court, game court or tennis court in your backyard. Let our professional construction crews design your athletic court. 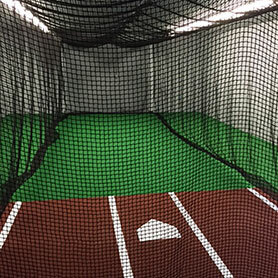 Sport Court WI serves the following Wisconsin cities: Milwaukee, Madison, Waukesha, Fond Du Lac, Sheboygan, LaCrosse, Wausau, Green Bay, Port Washington, Lake Geneva, Oconomowoc, Delafield, and Oregon. 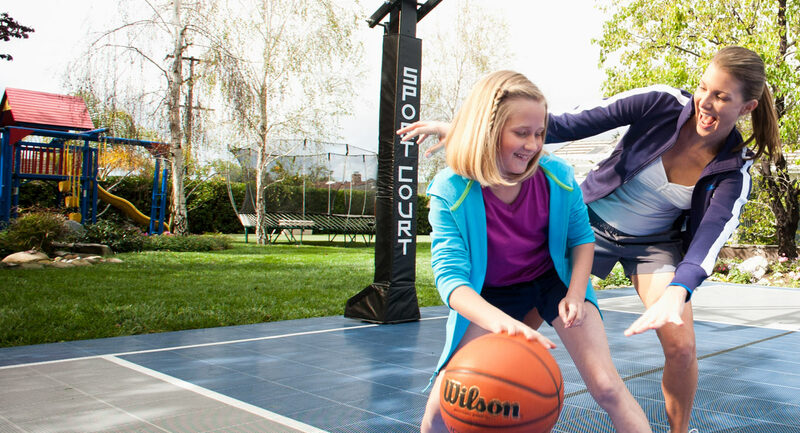 We are the exclusive distributor for Sport Court® athletic flooring and components. Since 1974, we have been the leader in basketball court, game court and tennis court construction in the state of Wisconsin. It’s not just a basketball court, it is a unity tool. With over 15 sports to choose from, get your neighborhood together and experience the game like never before on your backyard basketball court or home gym. Until your needs are met, Sport Court Wisonsin will keep working on your commercial court. 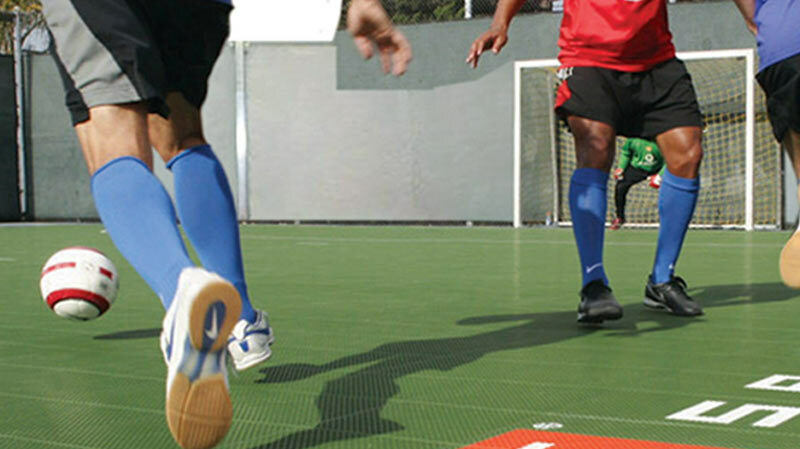 We are dedicated to giving you and your community the game court you deserve, unmatched and precise. Create a team of champions. "We enjoyed our first summer with the Sport Court, and even flooded the court this winter for a backyard hockey rink...I highly recommend the Sport Court product installed by Kevin and his team!" 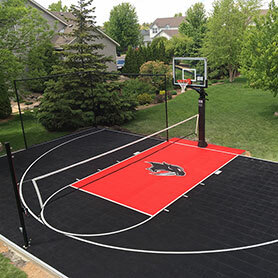 If you’re looking for quality, performance, and safety, check out the products that Sport Court Wisconsin has to offer. Partnerships are what drive our success. We partner with community organizations such as the NCAA, USA Volleyball, USA Soccer Foundation and other national and international athletic organization to bring sports to the community, no matter what your age. There is no greater honor than being the official court of some of Wisconsin's most prestigious sports teams.